Years ago, Mia's husband Mickey told her that they had an invite to the Grand Canyon, but that they were on a waiting list for at least ten years. Everyone was talking about the rapids, especially the one called “Lava Falls." The years went by, and the more they talked about the river, the longer the rapids became and the bigger the waves grew in Mia's mind. She was not a water rat. Life and past life experiences had made her nervous about the element of water, but deep inside she knew, for her own sake, that she had to go. She decided to treat it as a vision quest. From that moment on, all her fears were gone. Mia turned her attention back to the map in the book. The different names of the canyons, rims and ridges caught her eye. As she turned the book to a different angle to read the names better, a newspaper clipping fell out and sailed under the desk. "I'll get it later,” she thought. Then she leaned over the map again, and looked at the names along the river. Her gaze stopped around the area between Trinity Creek and Ninety-four Mile Creek, on the north side of the Colorado River. “What are all these Egyptian names?” Mia wondered. Slowly she read them aloud: “Isis Temple, Osiris Temple, Tower of Set, Tower of Ra, Tower of Horus, Cheops Pyramid." Mia started to sweat. Her breath became shallow. She was feeling sick to her stomach. An indescribable dizziness came over her, and she felt lightheaded. Slowly she hunched over and tried to prop herself on the desk, but her hands only grabbed emptiness. She hit her head on the corner of the desk – and everything went black. Waves battered her face. It was hard to see where she was, but at least she could breathe again. A few seconds went by, which seemed like an eternity. “By now, we certainly have run through the whole Lava Falls Rapid,” she thought. “The Lower Lava Rapid must be right around the corner.” Mia was just holding onto the raft and going with the flow, when another big wave pushed her back underneath it. Suddenly she felt a rope around her neck. “Where did this one come from?” she thought. “Oh, no – the bowline must have come uncoiled!” Panicked, she tried to pull it off, but it got tighter. Just like in a movie, her life started to pass by in front of her eyes — all she had done and what she still planned to do. Mia was gasping for air, when she started to see a light and hear a voice: “This is your time to choose. A unique look at intriguing encounters in the Grand Canyon where past, presence and future seem to be one. 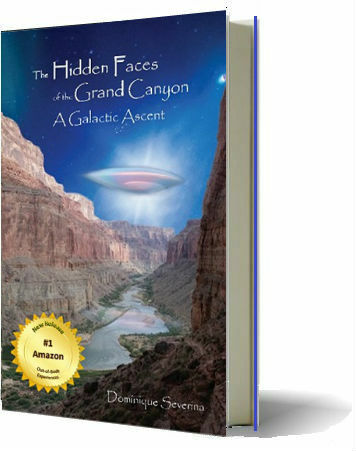 Time traveling from the future, Mia, a galactic archeologist dives into the ”Hidden Faces of The Grand Canyon”. A cave discovered in 1909 is the doorway to our convoluted universe. The author invites us as humans to remember that we are part of something much bigger than we might think. 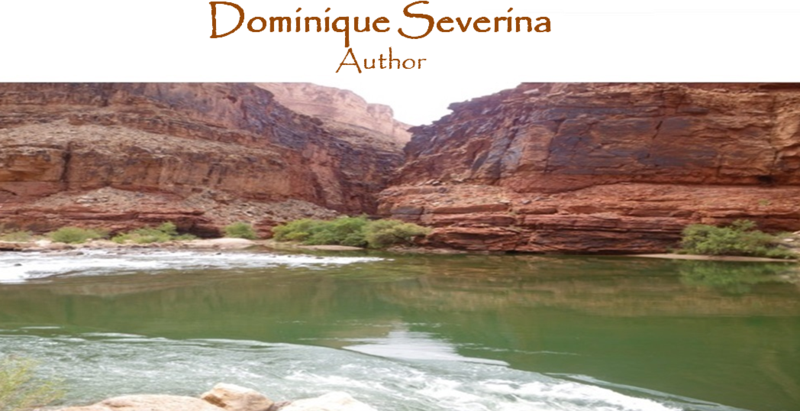 She takes us on a river of dreams transcending the time space continuum. As a raft would, she keeps us afloat by using any combination of time or soul travel, dreams and even a ride on a Crystalline Stellar Skull.